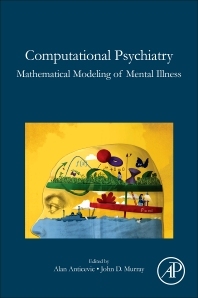 Computational Psychiatry: Mathematical Modeling of Mental Illness is the first systematic effort to bring together leading scholars in the fields of psychiatry and computational neuroscience who have conducted the most impactful research and scholarship in this area. It includes an introduction outlining the challenges and opportunities facing the field of psychiatry that is followed by a detailed treatment of computational methods used in the service of understanding neuropsychiatric symptoms, improving diagnosis and guiding treatments. This book provides a vital resource for the clinical neuroscience community with an in-depth treatment of various computational neuroscience approaches geared towards understanding psychiatric phenomena. Its most valuable feature is a comprehensive survey of work from leaders in this field. Alan Anticevic, Ph.D., is an Assistant Professor of Psychiatry and Psychology at Yale University School of Medicine, where he co-directs a research division and laboratory focused on the integration of cognitive, computational and clinical neuroimaging approaches with the objective of understanding the neurobiology of neuropsychiatric disorders. He received his Ph.D. in Clinical Neuropsychology and Cognitive Neuroscience from Washington University in St. Louis. John D. Murray, Ph.D., is an Assistant Professor of Psychiatry, Neuroscience, and Physics at Yale University School of Medicine, where he directs a research program in computational neuroscience with a focus on computational models of neuropsychiatric disorders. He received his Ph.D. in Physics from Yale University, and was a postdoctoral researcher at New York University.